Border Patrol agent Lily Turnbow is fighting a terrorist for her life when everything around her dissolves into a maelstrom of light and thunder. Awakening one hundred years later, she finds a ruined world in which bands of mutants are at war with normal humans, and discovers she is as changed as her surroundings. 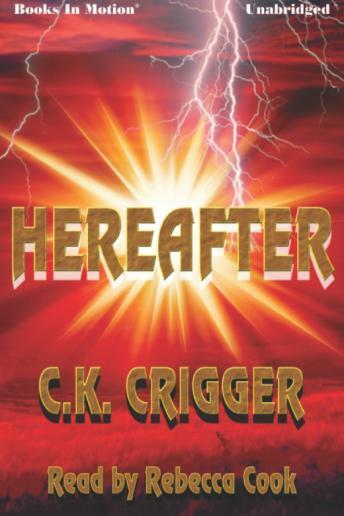 Resurrected into a society only now beginning to recover from the Event that almost wiped out humanity, she has become a Cross-up, acquiring magical powers she never had before. Driven by a bewildering set of circumstances, she uses these powers for the good of the O\'Quinn clan, a sword and horse society who have, against their better judgment, taken her in. But with few exceptions these people are not as appreciative of her help as one might expect. Even after killing one of her \"own kind,\" the serial killer Philip Barnes-a Cross-up known in this time as Screenmaster-the O\'Quinns view her with fear and suspicion. With the exception of O\'Quinn cousin Nate Quick who is her most vocal advocate, the clan can\'t wait to get rid of her. Sent before the clan elders, her alternatives are banishment into a lonely, friendless world where no one trusts anybody-or death. But Lily isn\'t willing to die--again.